With most of us spending more and more time online, you can quickly find that your Wi-Fi connection simply isn’t strong enough to reach to every corner of your home. No one wants to be left in a signal-free zone, and a Powerline adapter is a great way to extend your Internet signal. We supply a wide range of high performance Powerline adapters, including ASUS, BT, Devolo, TP-Link, and Netgear Powerlines. Our range of TP-Link Powerlines will allow you to extend your network throughout your home, keeping your whole household online by transmitting high speed data through your home’s existing electrical wiring. 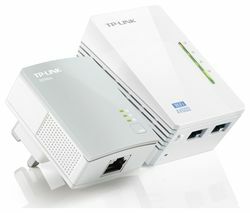 We stock a variety models of the TP-Link Powerline, including the TP-Link TL-PA4010KIT AV600 Powerline Adapter – Twin Pack, the TP-Link TL-WPA8630 Powerline Kit- Twin Pack, the TP-Link AV600 Wireless Powerline Adapter Kit – Twin Pack, and the TP-Link TL-PA4020KIT AV500 Powerline Adapter Kit – Twin Pack. 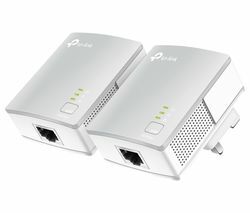 TP-Link Powerlines come with a range of features, with options such as one and four Ethernet ports, multiple adapter packs, speeds from 500Mbps to 1200 Mbps, and built-in WiFi, and power socket pass throughs, there’s bound to be a TP-Link Powerline to meet your specific needs. Once your home is fully connected, the whole family can enjoy streaming, gaming, browsing, and online shopping, wherever they are in the home. So, check out our range of Devolo Powerlines to extend your Wi-Fi connection.